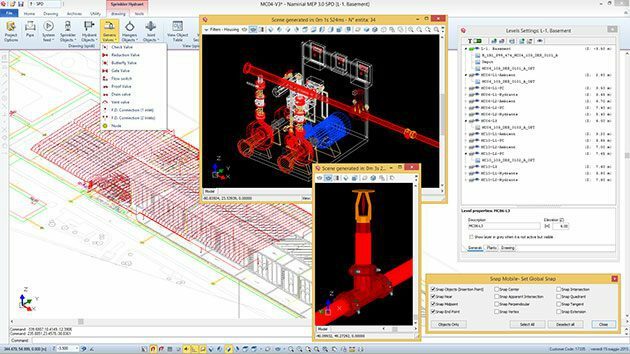 CPI win SPIDI (SPRINKLER & HYDRANTS) is the tailor-made Italian Software created for fire fighting water systems professional design, in particular for Sprinkler, Hydrants and Monitors system. When looking for a simple software, but complete, with all the features that a software design must have, CPI win SPIDI is the right one for you, thanks to its easy and flexible user interface that ensures a short learning curve and rapid estimate turnaround. 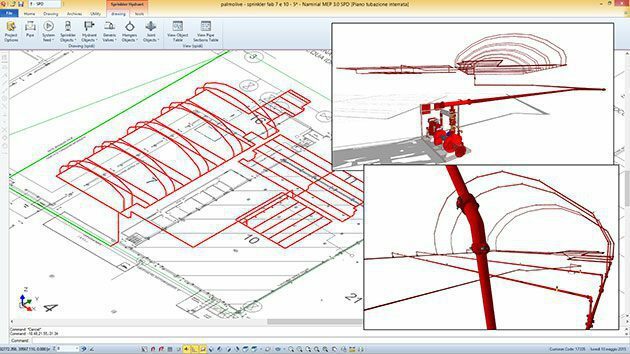 It permits: system design according to EN 12845 and/or NFPA 13 codes, dimension the pipings and make the calculation, choice the pump group, create a complete report, create the material list and then create technical drawings and sections in dwg/dxf, with all the necessary information. 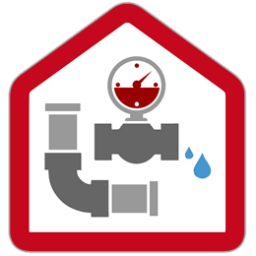 CPI win® SPIDI allows the user to follow (even in the same project) the European standard EN 12845 and the NFPA 13 standards (considering also all study cases for the installation of ESFR and CMSA sprinkler, in addition to all types of sprinklers contemplated in the respective standards). But it has a great flexibility that permits you to design also with any hydraulic parameter and free classification. 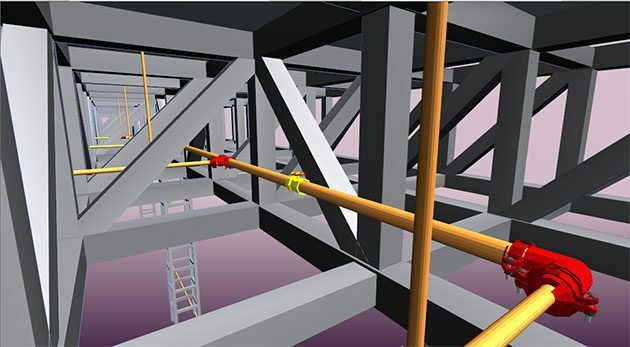 It can import directly a sprinkler piping system from a dwg/.dxf file or design it with the software stand-alone Render 3D CAD, with tools to quickly draw your system within a few clicks. All types of objects commonly used in a water system, perfectly scalable: hydrants, sprinklers, valves, installation supplies, joints, hangers, etc. FREE CLASSIFICATION TOOL to input data for every other code (for example if you need to apply FM code). DWG/SKETCHUP IMPORT in render section, real time design development and evidence of any other systems or structures interference. SYSTEM SIZING AND VERIFICATION CONTROL of calculation results obtained for each entities, optimizing projects performance and cost efficiencies. CUSTOMIZABLE TECHNICAL REPORTS in according to standard code choice. DETAILED PARTS LIST according to processing and mounting system chosen and available pieces. CREATION AND EXPORT of a detailed system plan and of technical sections too. 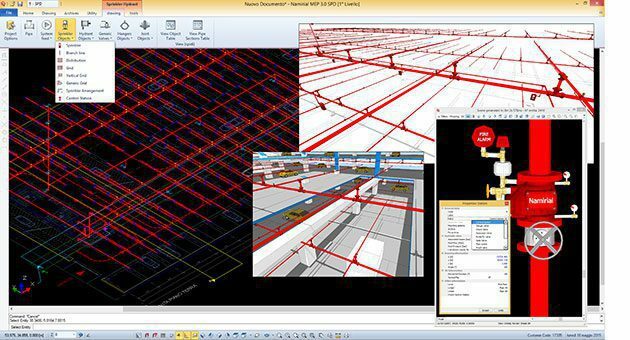 EXPORT RENDERED SYSTEM in DWG format thanks to MEP technology.